If you are worried about the behavior that your teen is exhibiting, you may be considering a residential therapeutic boarding school to help him get his life back on track. Sundance Canyon Academy is a full time facility for troubled teens designed to help them learn how to manage their challenges and gain the skills they need for a successful future. Located in the heart of the west, we offer an environment that combines therapeutic support and outdoor recreational activities in order to provide a well-rounded experience that gives boys the best chance for success. For more information about therapeutic boarding schools and the specific advantages that we offer at Sundance Canyon Academy, contact us today at 866-678-2425. Sundance Canyon Academy specializes in helping troubled boys overcome their issues through a unique relationship based therapy program. We encourage our students to identify the root of their behavioral issues and begin healing from the inside out. Many other facilities utilize behavior modification techniques and only address the symptoms of the problem. We have successfully helped hundreds of teens throughout the country learn to manage their challenges in a positive and healthy way. Caring counselors and therapists that are trained in adolescent psychology, work with each student on an individual basis in order to create a plan of care that targets his specific combination of needs. As a result, troubled teens are able to target the cause of their negative behavior and become the agents of their own change through empathy, attunement, consistent rules and expectations. 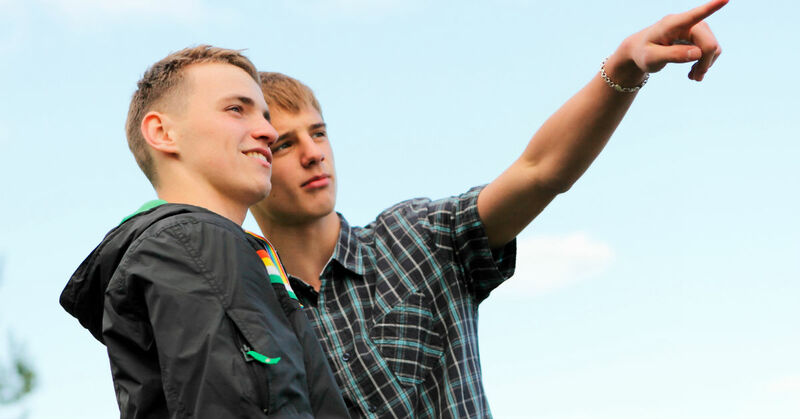 When therapy from a boarding school for troubled boys is combined with exercise, a healthy diet and recreational activities, each teen gains the skills he needs to live a balanced and productive life. A licensed and fully qualified staff that is trained to provide therapeutic intervention for behavioral issues like aggression, defiance, depression, substance abuse and mental disorders. Our strength based approach to counseling includes experiential, hands-on opportunities as well as more traditional therapy methods like group, individual and family counseling. We encourage as much parental involvement as possible. We have found that when families participate in their teen’s healing process; they are able to become a more effective support system once he returns home. Each boy is able to continue his education through nationally accredited academic courses led by licensed teachers. As they move forward at their own pace, they can keep up with their grade level and learn valuable study skills. We have developed a reputation based on consistent results and high standards. We remain dedicated to helping each troubled teen that comes to us for care, regardless of the type of challenges he faces. Our goal is to provide a safe haven for teens and peace of mind for their parents. We are located in Utah, which has the best and most comprehensive laws in the nation regarding teen help programs. We welcome boys from throughout the country and pride ourselves on offering one of the best programs in the country. Parents get the opportunity for some respite from the constant stress of dealing with a troubled teen. You can emotionally regroup and benefit from the support of professionals while knowing that your son is safe and sound in the care of experienced staff that are devoted to his recovery. The idea of placing your child in a full time facility is not something most parents expect to have to do when they first embark into parenthood. We understand that this decision is difficult and intimidating and we are anxious to make sure that you have confidence in the choice you make as well as consistent support to guide you through the process. We believe that the right program can be life changing for your son and that he has the capacity to turn his life around for the better. Call us today at 1-866-678-2425 for a consultation. We look forward to helping you find a solution that will help your family move forward.